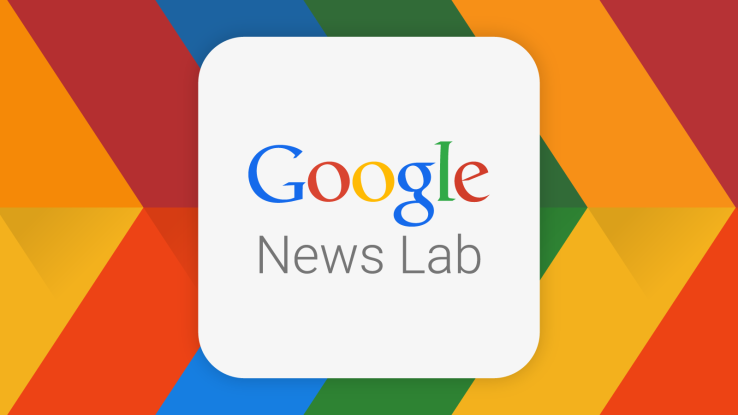 Is The News Lab Google’s Offer Of Olive Branch To Media? Google announced Monday the launch of a new site called, News Lab, which aims to connect news publishers and journalists with programs, data and other resources to aid in their reporting. The site will showcase the company’s efforts surrounding citizen reporting and new media partnerships. Most importantly, it will feature newsroom tools such as the updated Google trends service, some tutorials and best practices on how to use Google products in reporting. Despite Google News Lab’s seemingly benevolent objective, it still faces a number of criticism. Some think that the effort would not be much of a help yet for day-to-day journalism. Some consider this move as Google’s olive branch to the media, as the company has been censured in the past by news publishers for claims of scraping news from their sites and using it for free. No company has caused the news media as much consternation over the last 20 years of the World Wide Web as Google. As information and revenue has gone to the Web, newspapers have lost relevancy and immediacy and have been forced to cut back production and jobs, especially over the last eight years since the start of the Great Recession. Google, which scooped up much of the digital advertising dollars that once went to print newspapers, has been seen as the evil empire that has crushed the news. The designation as the bad guy is not really fair for Google. Mostly because it is not true. Newspapers and broadcast television are stodgy old enterprises that are risk averse and often slow to adapt to new changes. Once they do change, they tend to overcompensate to the detriment of their businesses and routines. Google did not kill newspapers. Newspaper owners, executive editors and publishers killed newspapers. But for all of Google’s clout, it became an unwitting combatant in a battle against a foe that buys ink by the barrel. By definition, that is a war it cannot really win. U.S. publishers have already had their row with Google and have—for the most part—shaken hands with the search giant (and its kindred Facebook and Apple). European news markets are not quite as at peace with Google with countries like Germany and Spain passing laws to charge technology companies for putting excerpts of stories up on their sites (more or less killing the viability of a product like Google News). After effectively blocking Google, Spanish and German publishers almost immediately realized that they made a horrible mistake and moved to mitigate the new laws. Despite the fact that Google is the largest single driver of traffic and advertising dollars to the rest of the Internet, it cannot really win the battle of perception against the news media. Google was not solely responsible for the decline of newspapers, just the most visible technology company on the Internet. It was the likes of Craiglist and third-party digital advertisers that really destroyed two legs of the news industry’s business plan (the Web devastated the third, subscription revenue). Publishers have never really woken up to the fact that Google is perhaps the greatest friend the industry has in the technology sector. Hence, we have the News Lab (and other projects like the YouTube Newswire), Google’s attempt to give the news media a one-stop shop for all the good things that Google can theoretically do to help the media. The News Lab is simple and patronizing, but in the end Google can at least say it tried to help the news media before the last vestiges of its aging generation are razed to the ground in favor of the new era of media distribution. Read full and original article on ARC. I do think that Google News Lab would be handy for working journalists and publishers and serve as a touchstone to how journalism should be in the modern era. And over here, we’re pretty excited at how this move can lead to a more informed and organized world by having the most important technologist of our time and the journalism industry work together. How about you? What do you think? Share with us in the comments! Realview helps news organizations make informed decisions about why and how to utilize today’s digital platforms. Keep reading to learn how Realview creates value and join our multitude of clients who turn the page from their traditional format and evolve into a modern digital newspaper to stand out!